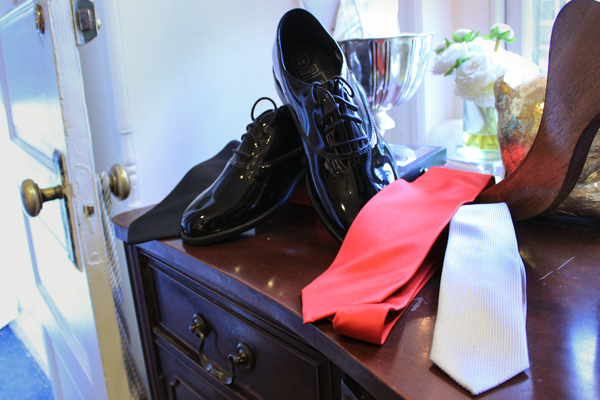 Anthony's Tuxedos offers a $100 tuxedo rental deal with shoe rental for an added cost. GW’s inaugural ball is a black-tie event, so making sure you’re dressed to impress can be a bit of a daunting task for college students. The most important part of a black-tie outfit is, of course, the tuxedo itself. The jacket needs to have a silk or satin lapel, and the pants typically have a silk or satin stripe down each side. A tuxedo should be paired with a pure white button-down shirt, typically with cufflinks and button studs. You can also wear a cummerbund or vest that matches the jacket. As for neckwear, traditionally you’d need a silk bowtie to match the lapel, but you could switch it out for a silk necktie, as long as it is solid black. Finally, you should finish off your look with black patent leather shoes and black socks. While this may seem like a lot but for just one night, a sleek look is all in the details. Here are three places to rent or buy a tuxedo, so you’ll be dressed to presidential standards for GW’s ball or other events you choose to attend inaugural weekend. Heading down to Men’s Wearhouse, which is just a few blocks from campus, will likely be the fastest and cheapest option for a last-minute tuxedo. With a special discount for GW’s inaugural ball, students can rent most tuxedo styles for around $100. The rental comes with a quality tuxedo and all of the pieces you need for a proper black-tie outfit. Men’s Wearhouse offers rentals for different timeframes based on the date of an event, so if you rent one for an inaugural ball you’ll need to return the tuxedo on Jan. 23. If you waited until the last minute, Anthony’s Tuxedos in Georgetown is the best place to go. The mom-and-pop shop stocks more than 400 tuxedos. They offer one-hour tuxedo rentals, which means you can walk in, rent a tuxedo, and be ready for the ball in an hour. The rental comes with a jacket, pants, shirt, tie, cummerbund, cufflinks and button studs. They also offer vests and shoes for an extra charge. With such a large selection of tuxedos, they’re bound to have one that will fit you perfectly – even at the last minute. If you have multiple events you need a tuxedo for, want a tuxedo for future black-tie events or would rather not rent, you should check out Suitsupply. Just a five minute walk from campus, the store offers full tuxedo sets with a jacket, pants, a shirt, a tie and a pair of shoes starting at $799. Although this is the priciest option, it can be worth the investment because rental prices add up. The company makes high quality tuxedos, and Suitsupply offers in-store tailoring to make sure that your tuxedo fits perfectly.